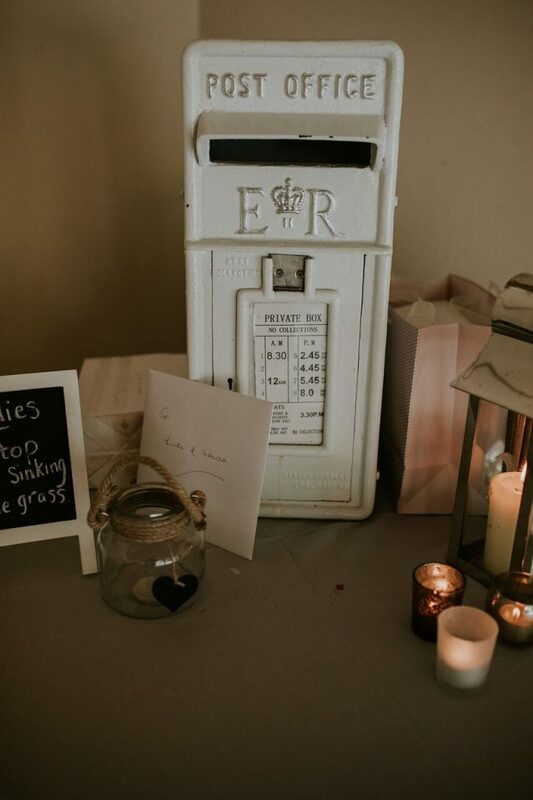 If you’ve looked through more than a couple of pics from Ever After weddings then you’ll know there’s always some fab decor and/or styling involved. But, I bet you’ve wondered how much of it is available for you to use. And, what items were provided by the couples. 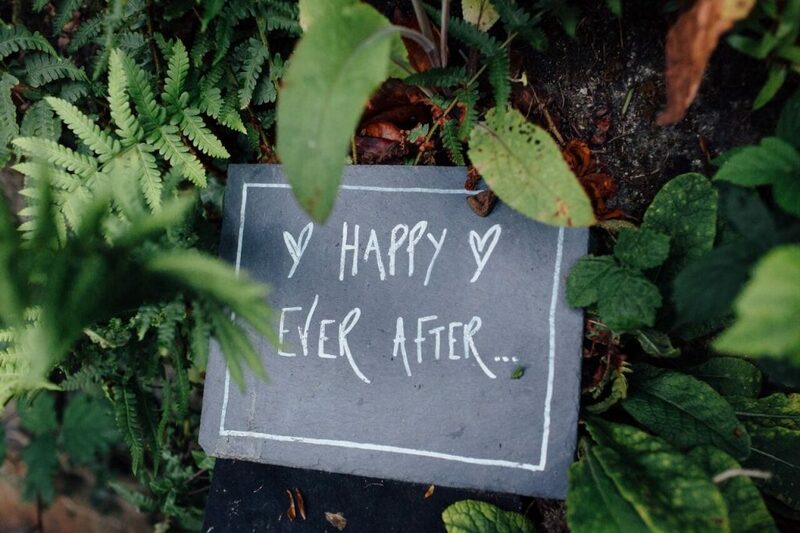 Well I’m here to introduce you to all things decor at Ever After! 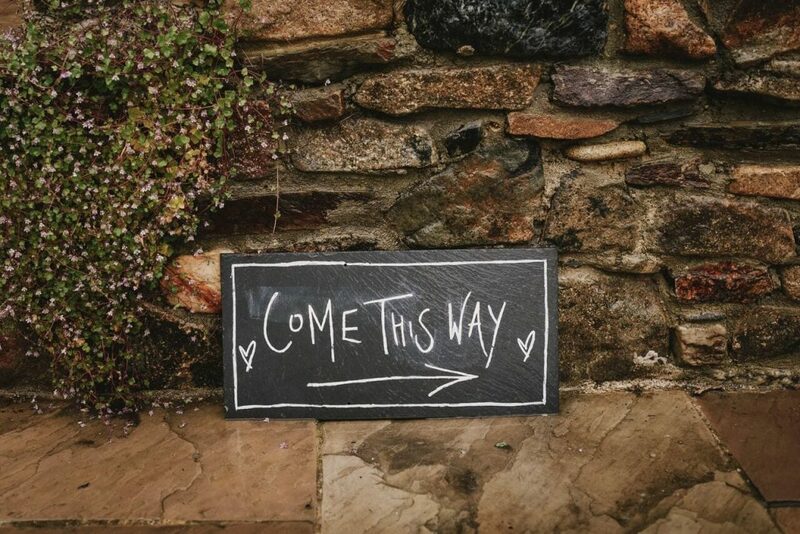 A 5-part blog post series broken down into each part of your wedding day, starting with arrival drinks and ceremony decor! For guest arrivals, we tend to keep the decor to a minimum. 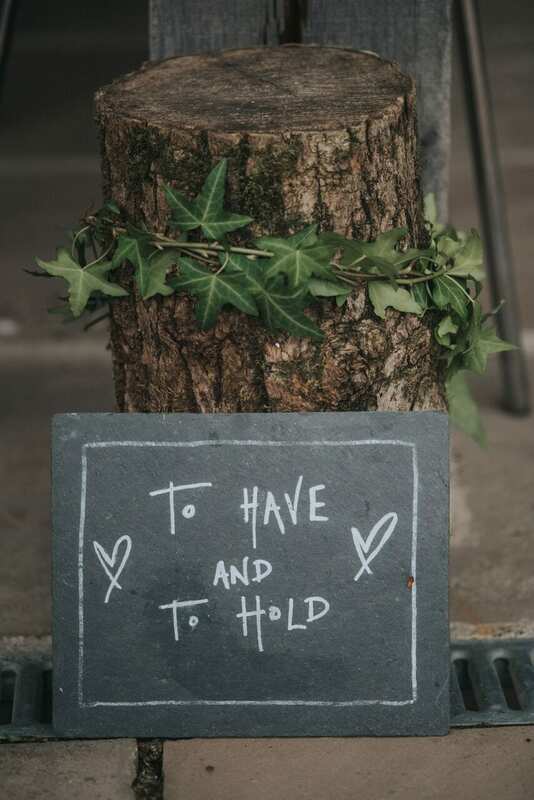 Couples sometimes make ‘welcome’ signs which we can display, as well as any decor bits for the gift table. 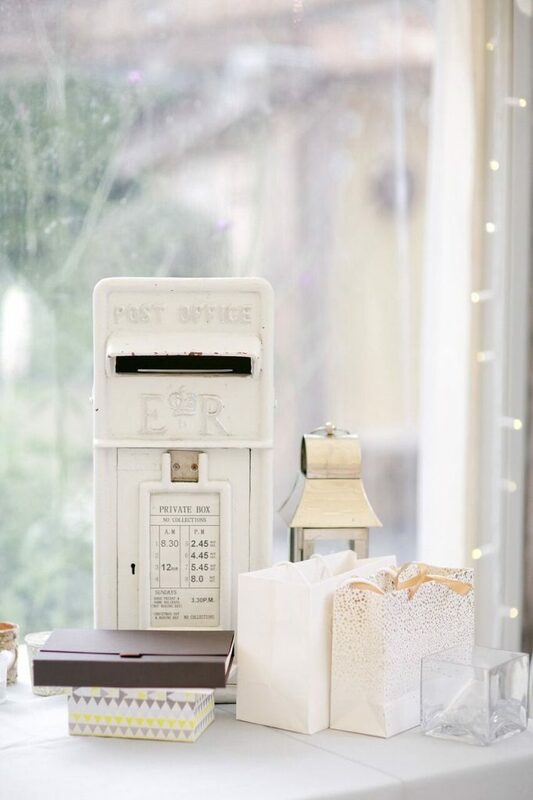 One thing of ours most couples love is our white postbox. It’s available for every couple and is locked so it’s safe if you’ve asked for money in a card instead of gifts. 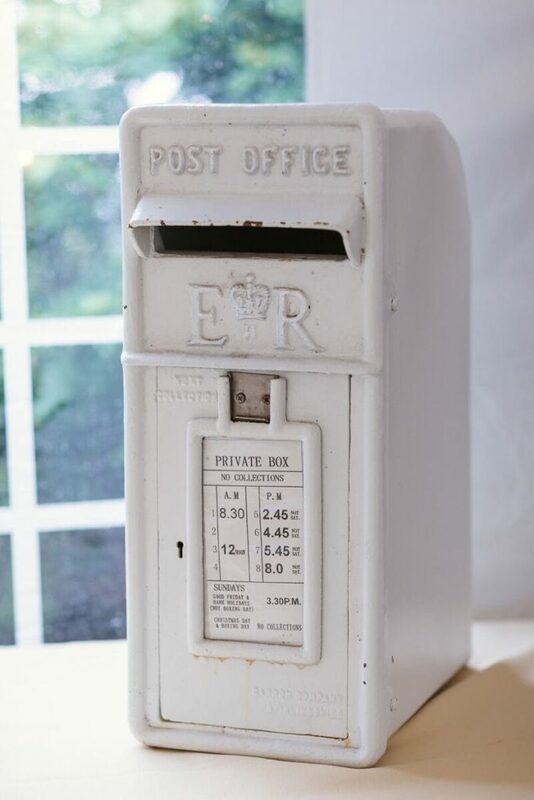 We empty the postbox in the evening and put all your cards & gifts in the honeymoon cottage for you to peruse in the morning. 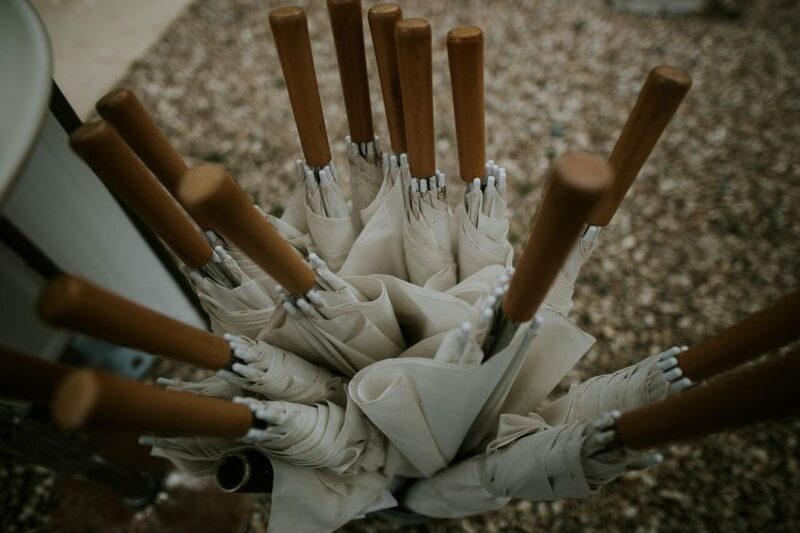 We also have a coat rail (which we then move to the terrace) and ample umbrellas, just in case. 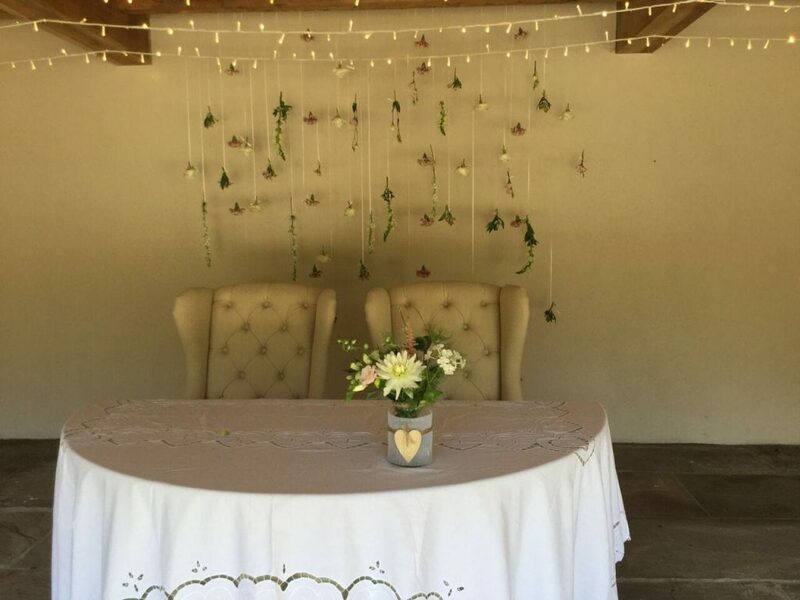 For your ceremony (if you’re getting married with us) we have a few bits to help decorate the wedding barn. The most popular items are the lanterns, either metal or wooden (depending on your overall theme). We also have the ceremony arch which you are welcome to use. 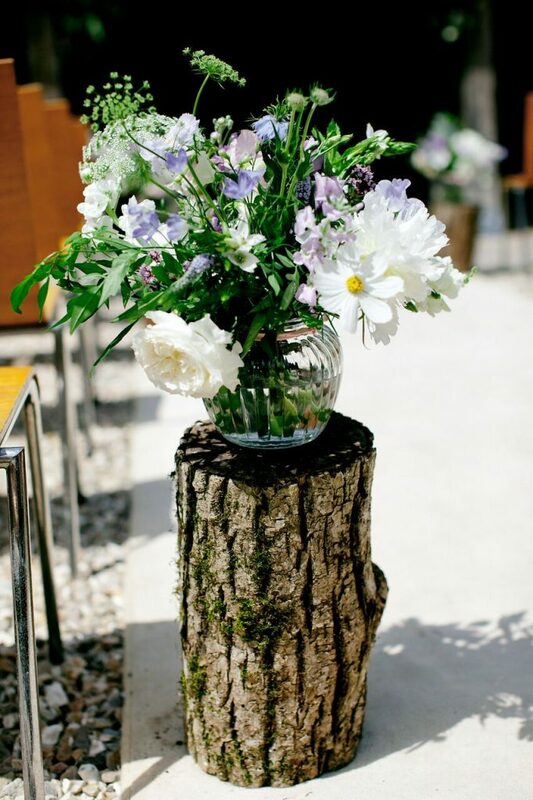 Often couples get their florist to make a floral arch for it, or even hang jars of flowers like below! We’ve also got log slices which look great down the aisle. 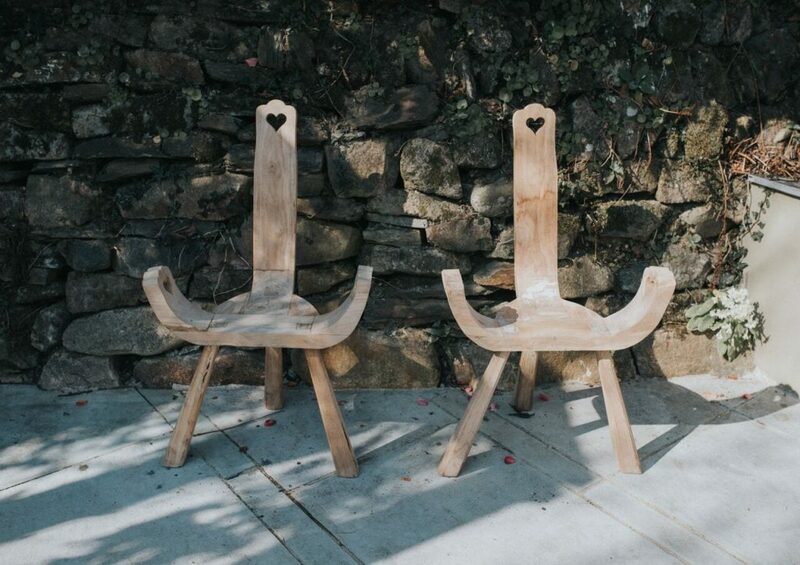 And we have a choice of seating for signing the register; either our cream upholstered chairs or our wooden love heart chairs. Throughout the venue you’ll have no doubt seen our many slate signs. 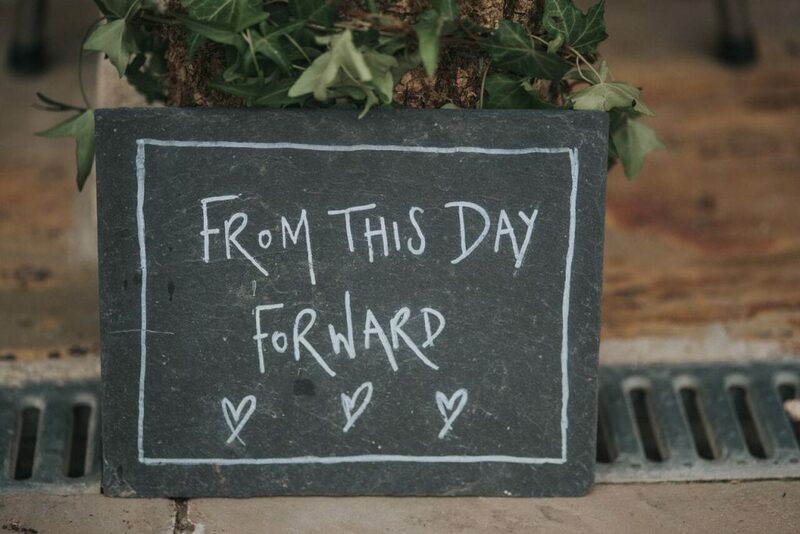 We love to dot them around the venue, and it saves you the hassle of having to write them yourself! We’re more than happy to make the styling & decor decisions for you, but at least this gives you a good idea about what’s available! Keep your eyes peeled for the next blog post, this time on drinks reception decor.